If you want to rid upholstery, rugs, or other textiles of unwelcome orders like smoke, food, body, or pet odors there are a few natural, home remedies you can try before you go to the household cleaning aisle of your supermarket. Commercial products are usually full of chemicals and can be toxic around young children or pets. These home remedies are especially great to try if you buy used furniture or rugs from flea markets and yard sales. When getting something second-hand you usually inherit other people's home odors. And, if you get some great finds or vintage pieces at an estate sale or antique store, you might have to get rid of a musty smell, too. Try a few natural fabric deodorizers like vodka, baking soda, or coffee to remove musty smells and other odors before getting a store-bought cleaning product. As with all products and remedies, test these methods on an inconspicuous spot before applying to the entire item. Vodka may be popular in mixed drinks, and it is equally potent as a cleaning agent. The grain-based liquor removes stains, refreshes fabrics, neutralizes odor, and can be used as a disinfectant, too. Vodka kills bacteria. Fill a spray bottle with the cheap stuff, and use it straight. You will not smell the alcohol once it dries. For rugs, intact upholstery, draperies, and other textiles spray liberally with vodka and let it dry. For upholstery that you plan to reupholster, remove the original fabric. Next, spray the stuffing and foam liberally. Be sure it is completely dry before attaching the new fabric. Baking soda, or sodium bicarbonate, is a naturally occurring substance found in all living things. It is completely non-toxic, neutralizes odors marvelously, and can be used as a surface cleaner. Baking soda is a mild alkali that chemically tries to balance out or neutralize strong smells caused by strong bases (rotting fish) or strong acids (sour milk). For rugs and intact upholstery, sprinkle generously with baking soda and let it stand for 24 hours before vacuuming. For upholstery that you plan to reupholster, remove the original fabric, and then sprinkle the stuffing and foam. Let it stand for 24 hours. Vacuum carefully, so you do not accidentally destroy the stuffing. 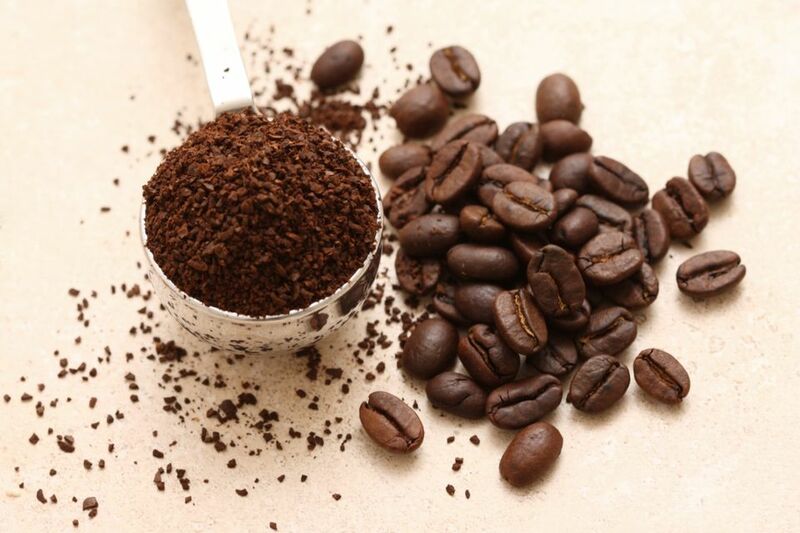 Fresh, unused, unbrewed coffee grounds are a good option because, like baking soda, coffee will neutralize odors. Coffee can go a step further than baking soda since it has a strong smell, it can mask odors. Coffee grounds are perfect for really stinky pieces of furniture or rugs. A downside is that coffee is much pricier than baking soda. For rugs, sprinkle generously with coffee grounds. Wait 24 hours before vacuuming. For intact upholstery, sprinkle coffee grounds and leave for 24 hours before vacuuming. Additionally, tuck coffee ground-filled sachets under and behind loose cushions, and in all crevices. You can use individual-serving coffee bags, the ones that look like tea bags or save money by tying loose grounds into cheesecloth, old stockings, or medical gauze. Leave the sachets in place after you have vacuumed up the loose grounds. For upholstered pieces that you plan to reupholster, follow the above instructions for loose and encased coffee grounds, but use caution when vacuuming so you do not damage the stuffing. Leave the coffee bags or sachets as long as possible, but remove them before attaching the new fabric.